China has banned the release of “Christopher Robin”, a new live-action Disney movie which features Winnie the Pooh and his cast of friends. Chinese supreme leader Xi Jinping is said to be furious over memes that compare him to the portly honey-loving bear and censors have cracked down on the meme on Chinese social media apps. “It’d be hilarious if it weren’t so . . . totalitarian,” the New York Post said in an editorial on Aug. 5. 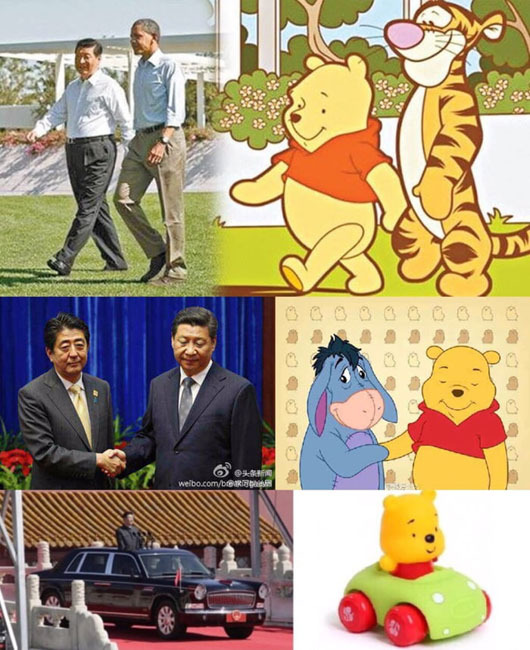 The Xi-Pooh meme first surfaced in 2013 during the Chinese leader’s visit with then-U.S. president Barack Obama when an image of Winnie the Pooh walking with friend Tigger was set alongside a photo of Xi and Obama walking together. In 2014, a photograph of Xi standing through the roof of a parade car was set alongside Pooh in a toy car. It was named “most censored image of 2015” by Global Risk Insights, a political consultancy. The meme resurfaced earlier this year after the ruling Chinese Communist Party announced plans to eliminate presidential term limits for Xi. An image showing Winnie the Pooh hugging a large pot of honey featured the words “Wisdom of little bear Winnie the Pooh” in Chinese and “Find the thing you love and stick with it” in English. Another image showed a screenshot of Pooh wearing a crown and other royal regalia. Because the Communist Party is highly sensitive to any disrespect of Xi, “a sweet film about grown-up Christopher’s reunion with his Hundred-Acre Wood crew will be kept out of the country, too,” the Post said.